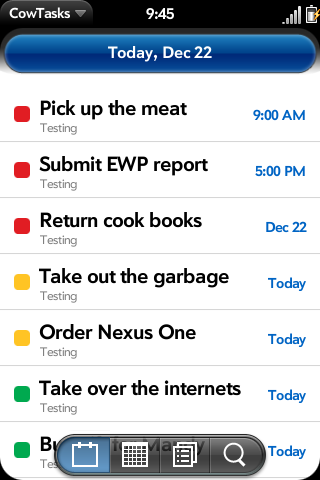 This task manager app interfaces with a popular website called Remember The Milk: Online to do list and task management. This app was written by me, and I am not at all related to the website. The is the very beta version of this app. I plan to add more features along the line. Viewing, adding, completing, and postponing tasks should be pretty much all set. Please consider donating using the link below to encourage further development on this app. Should this app reach the App Catalog, your purchase will be refunded. Enjoy!